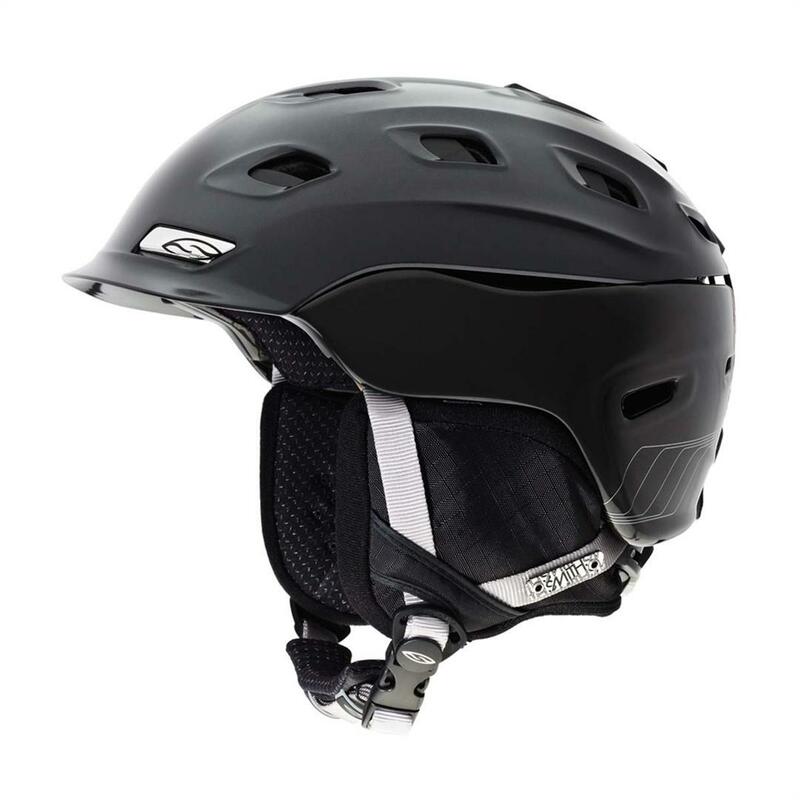 Pushing the boundaries of helmet technology and style, the Hybrid Shell Vantage gets the edge on the competition through its low profile design. Ventilation zones maximize climate control and seamlessly integrate with goggles to eliminate fogging. The Vantage is the perfect blend of performance and style. Pros: Stylish. Love the Gunmetal colour. Lightweight, lots of vents that can be open, closed, or in-between. Cons: I cannot (easily) remove the earflaps completely from the helmet for hot spring days. They can snap off, but are connected together behind the head in such a way that it's difficult to remove.